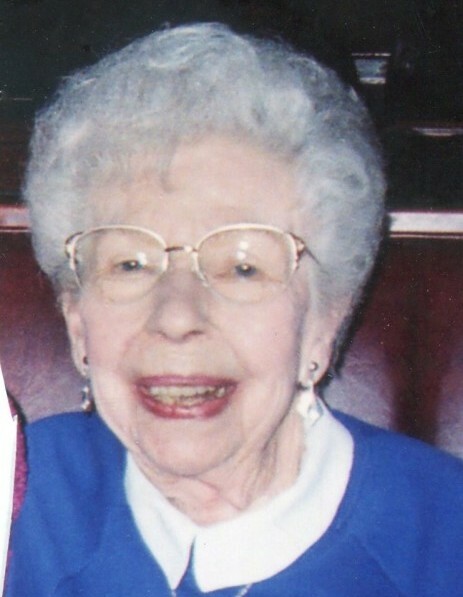 Ora M. Smith, 97 of Savoy passed away at 11:55 p.m. on Friday, November 16, 2018 at Carle Foundation Hospital in Urbana. A memorial service will be held at 11:00 a.m. on Sunday, December 1, 2018 at First Baptist Church of Urbana. Ora was born April 12, 1921 in Peru, Iowa to parents Henry and Edith (Riley) Tollenaar. They preceded her in death. Also preceding her in death were two brothers and five sisters. She married Buford (B.J.) Smith on April 18, 1942 in Chicago. He passed away on August 11, 1999. Ora is survived by her son Steve Smith and daughter-in-law Pat of Urbana, two granddaughters; Laura (Brian) Waterman of Phoenix and Erin Smith of St. Louis and a grandson David Smith of Urbana. Two great granddaughters; Kayla and Tabitha and a great great grandson, Tollin also survive her. She was employed for many years as a bookkeeper for the Libman Broom Company. Ora had a great sense of humor. She found great comfort in her faith in God. Memorial contributions may be made to First Baptist Church of Urbana. Condolences may be offered at renner-wikoffchapel.com.